OmniPrint's CEO, Victor Pena discusses the current market landscape of direct to garment printing and how it is currently changing. Direct-to-garment is changing rapidly from its infancy stage to mainstream usage. There has been continuous growth and adoption by print shops and small to medium sized brands. One of the reasons the market is seeing a boom is because of the size of investments that big brands like Amazon, Nike and Under Armour are making in the technology. Print-on-demand and personalisation are very attractive to consumers and are bringing new energy to apparel as consumers want to wear something unique to them. Recognising this, brands worldwide want to serve their customers’ needs. We believe that an important concept is discarding the traditional print then sell model and instead, adopt a sell first then print model. We don't believe in printed inventory sitting on shelves and with print-on-demand and digital printing technology anybody can set-up an online store, sell their products and print and ship them. Thinking about how we shop online, we don’t want a 7 to 10 day delivery timescale, as consumers we expect garments on our doorstep within 24 - 48 hours and want the product personalised. These changing market demands mean that printers are having to work faster, produce higher quality products and offer reasonable prices. With digital print this is achievable. In 2013 I visited a number of our customers and I noticed three things. 1. A USB drive with images on it. 2. A spreadsheet with orders on it. 3. A highlighter to try to keep track of what needs to be shipped. I thought to myself "if we are going to make an impact and move this industry forward, we have to automate this". That year we started to build Wurk™. Wurk™, our award winning web-based application that manages the end-to-end order workflow. Wurk™ is the only application in our marketplace that takes a custom order from start to finish. It synchronises with stores like shopify.com to bring the order to the shop floor. It also has a full featured web store for customers to sell their products on. When an order is received, it creates a barcoded order label. This order label has all the job information like sizing, colour, artwork and print settings on it. When the barcode is scanned, the printer starts printing the image at the optimal setting. It also integrates with shipping carriers to ship the job and much more. Wurk™ tracks the entire job progress, details job stages and sends it to a central dashboard. In the dashboard you can see all the metrics of prints per hour, ink costs, order status and more. For our customers to remain competitive and dominate in their businesses, we needed to give them the tools to optimise their workflow. Since it didn't exist, we created it for them. 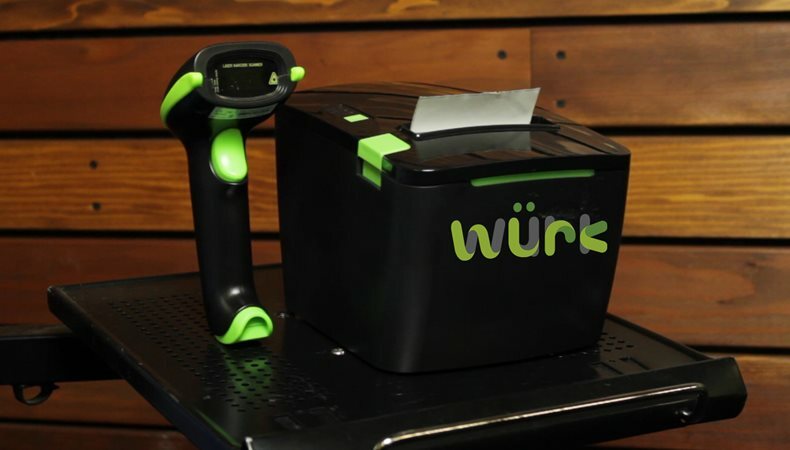 Workflow solutions such as Wurk™ are becoming more necessary to meet customer demands for quicker turnaround times, which are continuously shortening. . The main objective is to help print shops and end-users to save time and increase profitability. We know that end customers and print shop owners need efficiency in their everyday print jobs, without sacrificing the final product and committing to delivering the highest quality print. With Wurk™, this is achievable. FESPA Global Print Expo 2019 is Europe’s largest speciality print exhibition for screen and digital wide format print, textile printing and signage solutions. Visit OmniPrint at stand D40 in hall A6 at the Messe Munich between the 14-17 May 2019 and discover the available features. Please use promo code FESG902 to register for free.